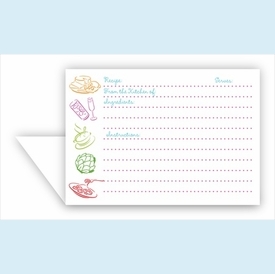 Stylish double recipe cards are perfect for recording your favorite dishes. 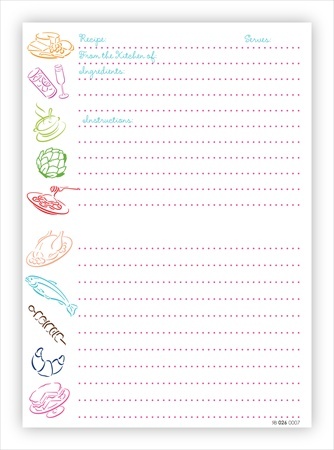 Kitchen canisters adorn these recipe cards with trendy, attractive patterns. 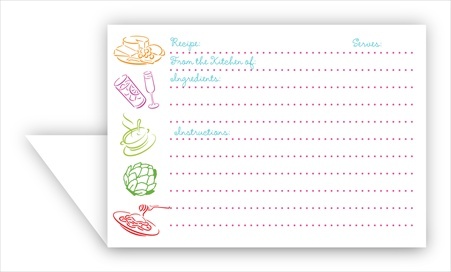 All designs coordinate with Recipe Box Sets. Soft packages of 10 cards per design. This item drop-ships from our supplier FOB Dallas, TX.